Dymondia margaretaeÂ is a great drought tolerant ground cover from South Africa. 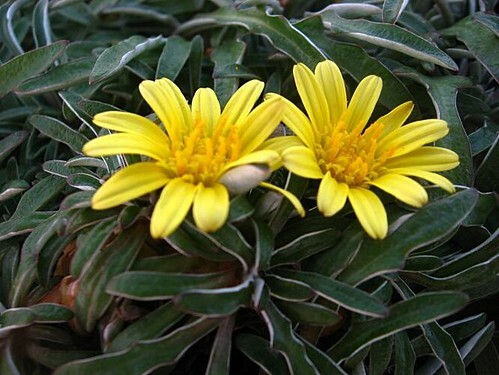 2″ tall, carpet like ground cover, silver-green, yellow flowers. Stands up to pedestrian traffic, does not need to be mowed. Perfect for parkways and between pavers on garden paths. Can also be used a lawn replacement. 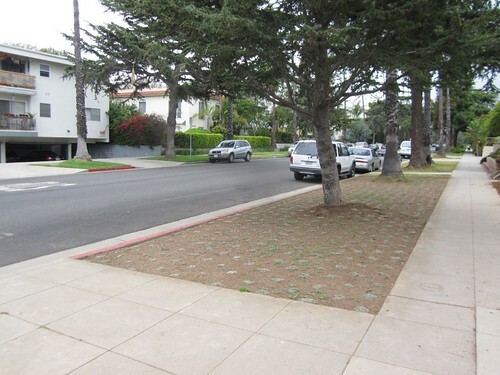 We used Dymondia in 2010 on a series of wide parkways in Santa Monica. 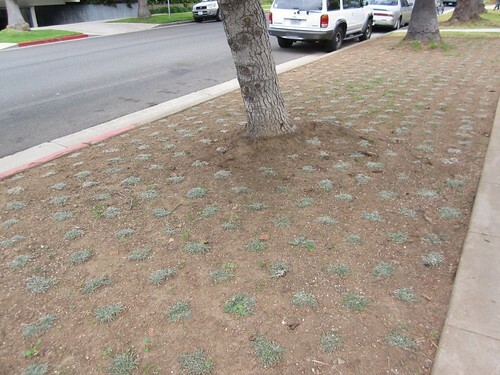 Note that it is planted from flats, with clumps of the plant laid out on a grid. The Dymondia spreads out over time. Within 1-2 years the entire bed should be evenly covered with Dymondia. 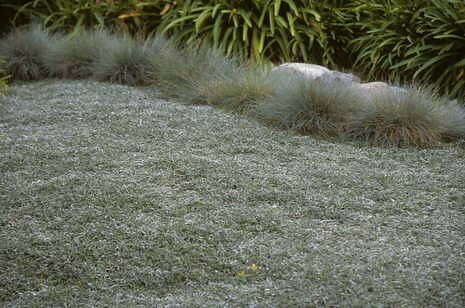 Here is an image of a Dymondia “lawn” completely grown in. 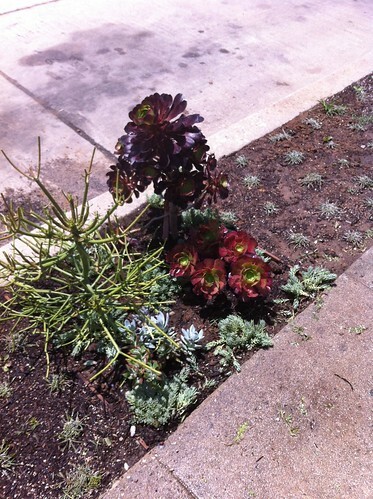 I used sections of Dymondia on my parkway, alternating with areas of succulents.